Brooklyn Bed Bug Heat Treatment is the BEST Solution - KILL Bed Bugs! Brooklyn Bed Bug Heat is the oldest, cleanest and most efficient way of Bed Bug Control! The most effective way of How to Get Rid of Bed Bugs is by heating them quickly, a method called “Heat Shock”. Since the early 1900’s, bed bugs have been controlled by heating infested rooms or whole buildings to temperatures of at least 113 deg. Fahrenheit. 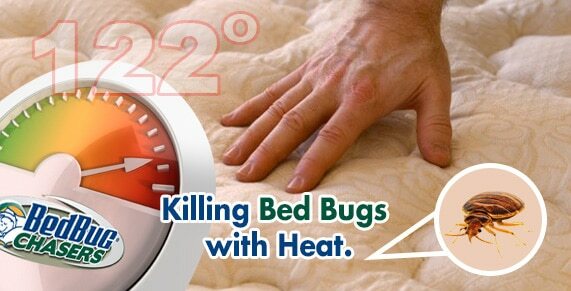 Today, we know the critical temperature to kill all stages of bed bugs is 122 deg. Fahrenheit. Even though a Brooklyn Bed Bug Heat Treatment is the most efficient, cleanest and quickest way to get rid of bed bugs, many other methods remain in the industry. Let’s compare these methods and you will see why heat is the best! How to Get Rid of Bed Bugs Brooklyn?